Can't you hear the screams? MY latest email from my car- insurance company ends with the puzzling: "Yours sincerely, Gary Signature Black." 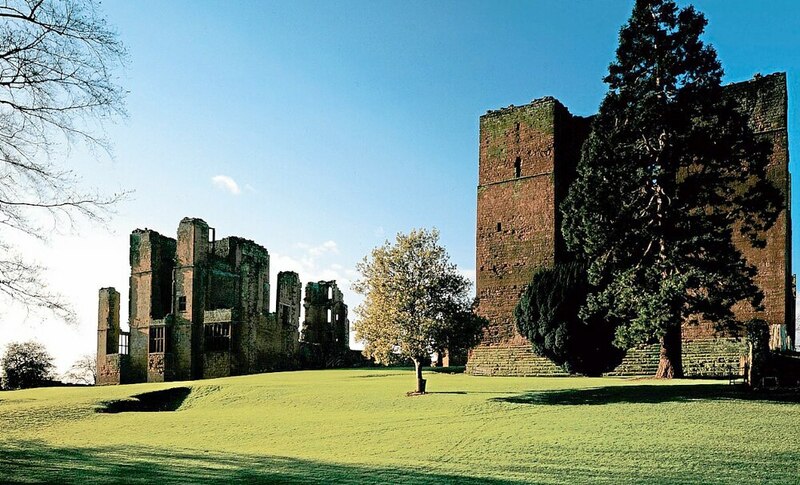 SOMEWHERE in the mists of cyberspace, Kenilworth Castle stands in all its mediaeval majesty. It has been created by the computer game Minecraft. So far, so good. But why not do the job properly? Why not rebuild a real castle in real time, in real stone? THIS great national project need not involve anything as grand as Kenilworth. Britain is littered with ye olde castles in various states of dereliction and we could start by restoring one of the smaller ones. It is odd that after 1945 we rebuilt our war-damaged cities as quickly as possible but we simply leave war-damaged castles for ever. Restoring one to its former glory would encourage and protect craft skills. It would become a great tourist attraction. And if it needed a start-up grant, so what? I'd rather see my taxes spent on The People's Castle than the wretched HS2. THE Labour Party suggests taxing the internet giants and setting up a fund to pay for "public-interest journalism." I'm not sure what this description means but I suspect it is much the same as "good analytical journalism," as discussed in this column some months ago. What both terms actually mean is "journalism I agree with." THIS new breed of tax-financed "public-interest" journalists would need certain guidelines. For example, if the leader of a political party detests anti-Semitism yet spends a lot of time with people planning the destruction of Israel, reporting it is clearly not in the public interest. LABOUR is also suggesting that BBC staff should declare their social status, presumably to protect working-class politicians from ordeal by toff. As night follows day, this has sparked a number of TV and radio discussions on the question of which class we belong to. Use of language is usually a good guide. I'm guessing that the BBC reporter on Today (Radio 4) who referred to the "defenestration" of the Australian prime minister Malcolm Turnbull does not possess a flat cap or whippet. Accent is a good guide, too. And a general rule, if they claim to be "working clarse," they ain't. DEFENESTRATION? It's a Latin word and its literal meaning is to be thrown out of a window. But why use such a word when there is a wide choice of simple expressions that every BBC listener understands without having to reach for a dictionary? Malcolm Turnbull was ousted, deselected or chucked out. STILL on class, I am well aware that many of my readers are horny-handed sons of toil and dedicated DIY-ers. They are practical blokes. They sneer at my dire warning not to attempt the latest treatment for enlarged prostate at home. The NHS version is a highly intricate procedure which directs tiny jets of steam at the affected area. The DIY alternative being debated among my online readers seems to involve a kettle, a length of plastic tubing and some gaffer tape. Can't you hear the screams?